When Super Typhoon Haiyan hit the Philippines, people lost their lives, their homes, and were without access to clean water or food. 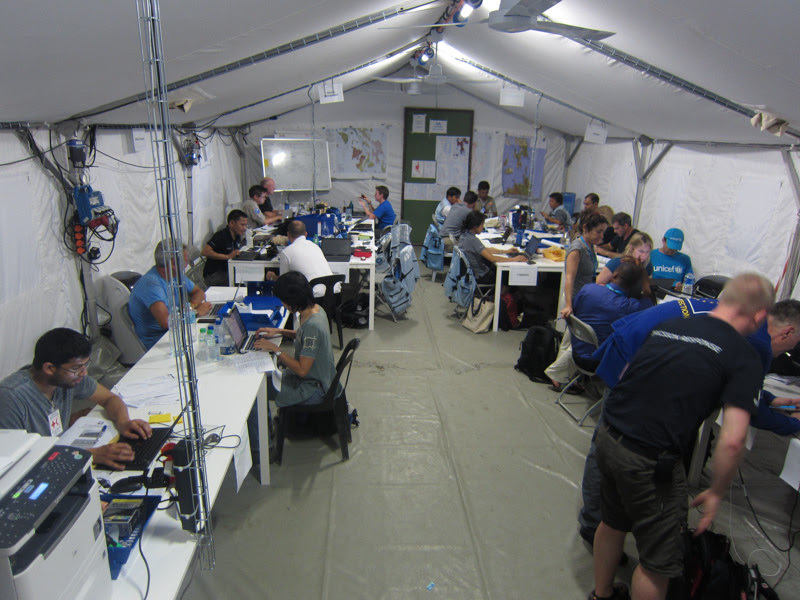 Inveneo responded within days, sending a team to jump-start assessment and launch communications relief efforts. 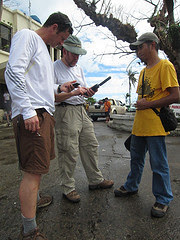 Since the typhoon, Inveneo has been on the ground in Leyte and Samar (islands in the Visayas region of the Southern Philippines) supporting emergency communications for major NGOs providing lifesaving aid. Aid workers gather together to coordinate relief efforts. Inveneo worked with over 20 major NGOs in the past few months. In November, a week after Super Typhoon Haiyan struck the Visayas, our assessment team provided disaster communications assistance to our partners United Methodist Communications (UMCOM) and United Methodist Committee on Relief (UMCOR). UMCOM/UMCOR teams were previously operating without any form of emergency communications in areas where cellular networks were non-functional. In December, and with support from our partner UMCOM, we loaded up rugged tablets with a suite of disaster response applications to give field staff at 20+ major NGOs including Oxfam, Plan International, and Save the Children access to up-to-date crisis maps and to help coordinate their relief efforts. Inveneo also provided training on use of the tablets. 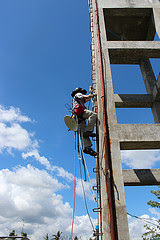 (L to R) Inveneo engineer provides satphone training to senior UMCOR staff; Innovate ICT’s tower team in the Inveneo / Petzl tower safety workshop in January 2014; Innovate ICT owner Jayson Orebia installs wireless equipment at World Vision International. Supporting the UN Emergency Telecom Cluster (ETC), providing direct engineering support to the active ETC network in Tacloban City. 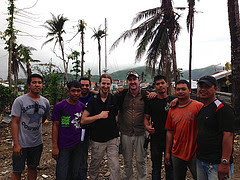 The ETC network provides emergency connectivity to the NGO community in Tacloban until local providers can restore services. Inveneo engineers deployed a new relay site to fill in a dead zone in the ETC network, connecting the offices of 5+ additional NGOs. This relay site provides them with critical connectivity when they had no other options. These NGOs, including Save the Children, ACF, and Solidarite and working across diverse issues including food security, water and sanitation, shelter, and children’s issues are now better able to coordinate their operations through the use of email, skype, and other Internet services. 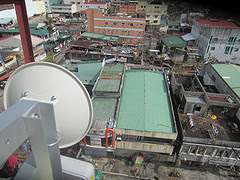 Providing local area network (LAN) networking assistance NGOs: ETC network support ends at delivery of hotspot connectivity to NGO offices. 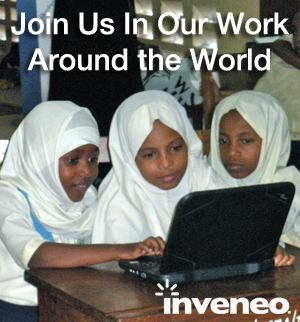 Inveneo engineers provided LAN networking assistance to several NGOs. World Vision International (WVI) operates a large office with 100+ staff far outside Tacloban City and beyond the range of the ETC network. Inveneo engineers worked with WVI IT staff to upgrade their local wireless network, implementing a system to make it much easier for WVI to manage their limited VSAT bandwidth effectively. 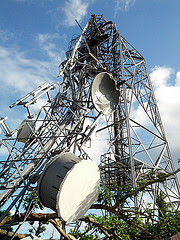 Inveneo engineers provided similar services to Plan International in Borongan. 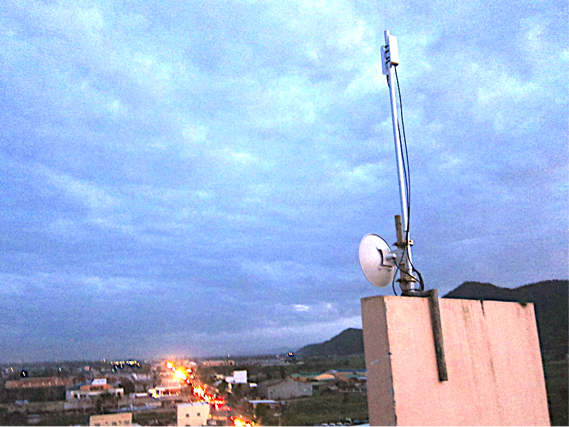 (L to R) Inveneo engineer configures equipment providing a critical redundant backhaul link to the Tacloban City ETC network; The Inveneo-installed relay site in western Tacloban City serving 5+ NGOs who have no other connectivity options; Inveneo engineer climbs a tower to install wireless equipment to bring SOS Children’s Villages online. The E-Waste Dilemma: Where Do Broken Computers Go?